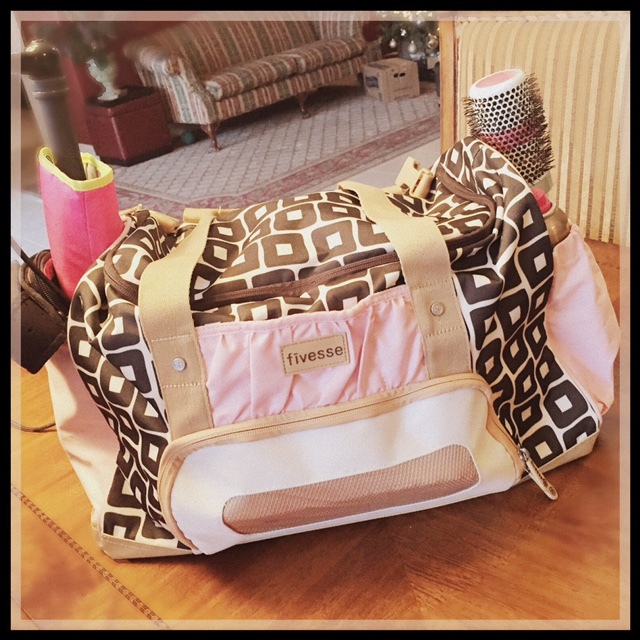 A few weeks ago, I featured the Home-Gym-Home Fivesse Bag on my blog, showing off this purse-size bag I toted across 8 states on a fun journey to Ms. Senior America. 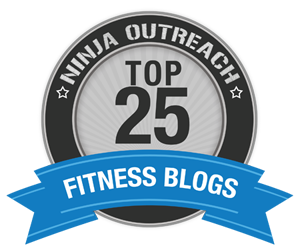 This week, I’m featuring the other Fivesse bag I took on the trip – the Home-Gym-Work bag. This bag is much bigger than the Home-Gym-Home bag. 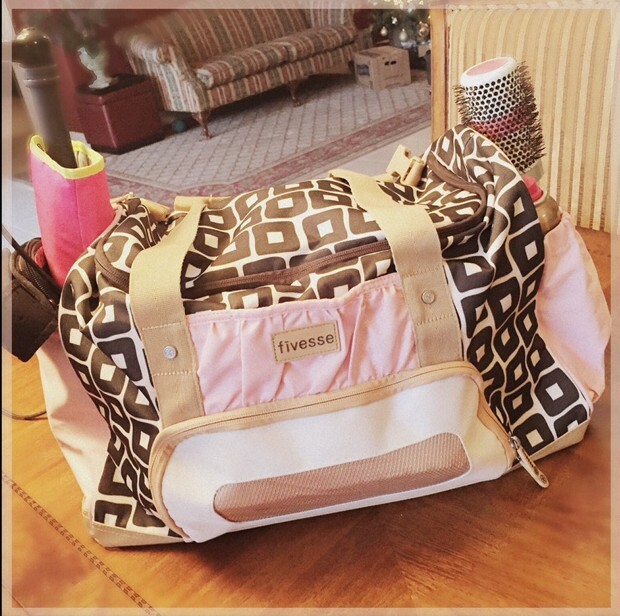 The Home-Gym-Work bag has a ton of pockets (each labeled with cute pictures so you know exactly which each pocket was designed for) and has a place for everything you need to get ready at the gym – or on the road. This is also the bag I take with me on every weekend getaway – including our Thanksgiving vacation this weekend. 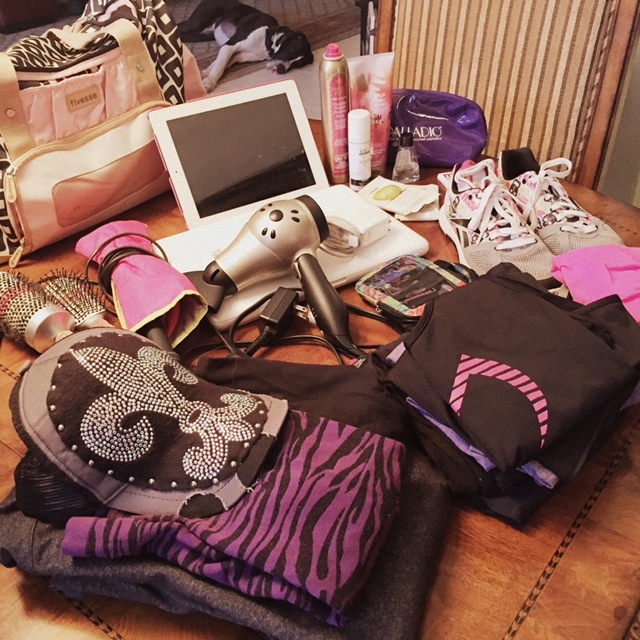 To show how roomy this bag is, I decided to unpack it (minus my dirty clothes) and show you everything that was currently in my bag after my trip. I already pulled out 2 pairs of jeans and a few shirts (and another pair of shoes) but, as you can see here, I still had a LOT of stuff in this bag! Here are all the cute labels to show you where everything is supposed to go. So original! If you like this bag, FOLLOW the giveaway on Facebook or Instagram and post a comment on either of these posts: We will be giving away 2 50% OFF coupons (one on each page) so you can get this bag for half the regular cost! !